Home Marijuana News Can You Drive After Taking CBD? There is a push to regulate cannabis like alcohol. There are both good and bad sides to this. It’s good if that means it’s more accessible and legal, in the same way you can buy alcohol almost everywhere as long as you have the proper identification. But it’s bad if you compare cannabis with alcohol; the latter has been proven to be deadly and fatal not just in the long run for your health, but also because driving under the influence of alcohol is risky. You can end up getting into a bad accident, or even kill someone else on the road. Driving impaired must never be done, no matter what. But CBD is often being placed in the same category as cannabis, which also attaches a lot of stigma on it. As cannabis legalization spreads throughout the country, you’re probably wondering how CBD can affect your ability to drive. We’re here to clear up the smoke. To put it briefly, as long as you’re taking CBD oil or any other CBD product that has less than 0.3% THC, this won’t impair you. We’d tell you to look at the labels, but not all companies are truthful about their ingredient list. Do some background research on the company selling and making CBD products so that you can have peace of mind that you know exactly what you’re consuming. If you think you’re consuming CBD with 0.3% THC or less, but you’re buying from a fraudulent company because it actually has more THC than they say, then this could cause trouble on the road. Keep in mind that CBD can come from different sources though the most viable and popular source is to get it from hemp. Hemp-derived CBD is made from industrial hemp, which has little to no traces of THC, at least not enough to get you high. This is why people don’t actually smoke hemp CBD. Using hemp-derived CBD is a safe and reliable way to get your dose without worrying about THC. Even if you’re sure that you’re taking a CBD product with less than 0.3% THC, you have to find the right dosage that works for you. Cannabis and all of its constituents, CBD included, can affect people differently. CBD is known to be a natural relaxant and may have sedative effects albeit mild on some people. The best thing to do is to look for a dosage that’s right for you, by experimenting NOT when you’re behind the wheel. CBD results in an improved mood and can contribute to overall better health. However, many people also regularly take CBD to help fight insomnia and get better rest. For that reason, you have to find out if a CBD product makes you drowsy; you might want to reduce your dosage or avoid it altogether if you have to drive. A study revealed that daily intake of CBD results in better sleep quality and duration. For the study, participants reported that they slept longer and experienced less bouts of waking up in the middle of the night when they took CBD. But when another group of patients consumed a lower dose of CBD, they reported feeling less sleepy, and actually experienced more stimulation. This goes to show that CBD’s effects vary depending on the dose you take: as a general rule of thumb, less CBD means stimulation while more CBD means sedation. Because CBD has been shown to cancel out the effects of THC in some patients, we can’t rely on this information if it’s a matter of life and death. Some people may argue that since CBD negates THC, it’s safe to take it together then drive. But the presence of THC can still affect your impairment even mildly, and it doesn’t take a lot of THC to cause a mistake on the road. There is absolutely no way of predicting how high even a little THC can get a person, which means we can’t predict how it will affect you when you drive. Stay on the safe side by consuming hemp-derived CBD. It also helps to keep in mind that its effects last around 2-3 hours, so if you do feel drowsy, you’ll want to wait for it to wear off completely. You can also run into trouble with the law if you end up taking matters into your own hands. You might feel ok to drive, but in the event that you’re pulled over by a cop, you can be mandated to take a standard sobriety test. If you fail, you can still face the same penalties as you normally would if you were driving under the influence of alcohol. Read up on the laws in your state. 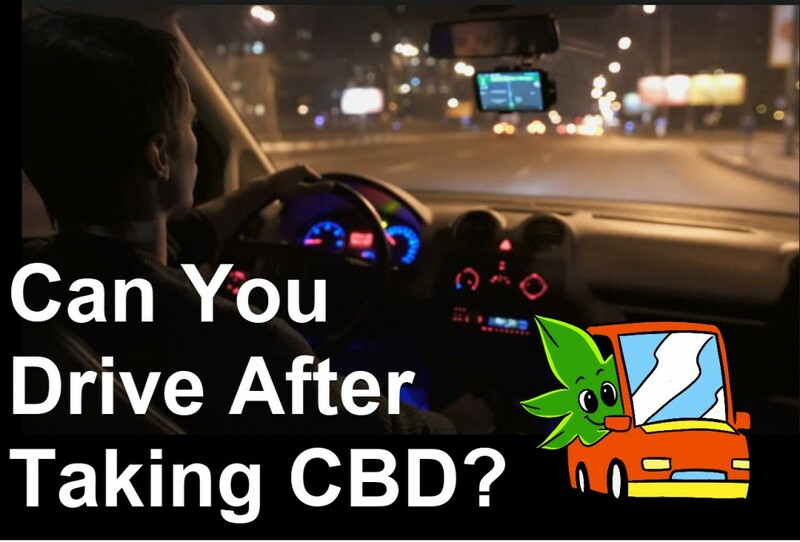 Do you drive after taking CBD? What has your experience been like? 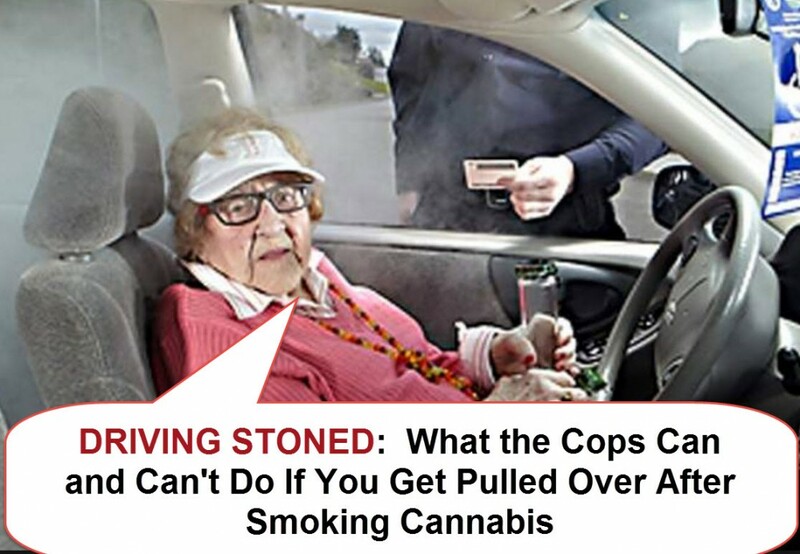 DRIVING STONED, WHAT THE POLICE CAN AND CAN’T DO, CLICK HERE. 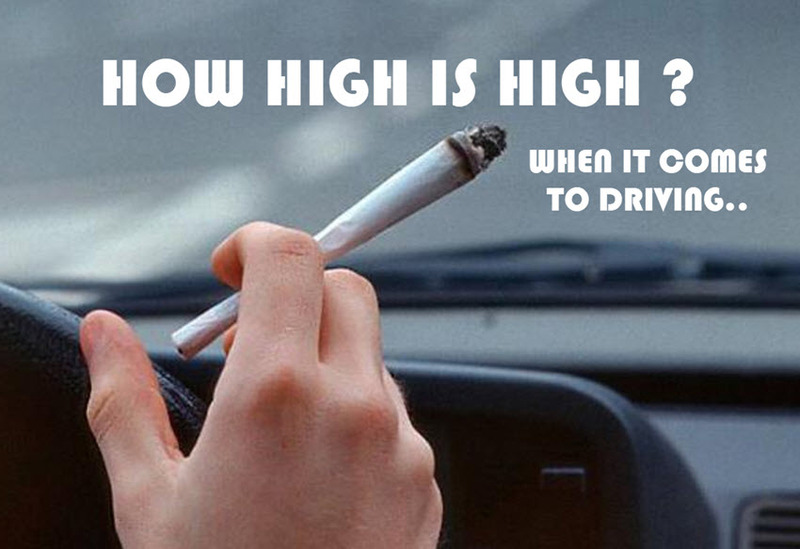 HOW HIGH IS TOO HIGH TO DRIVE, CLICK HERE.